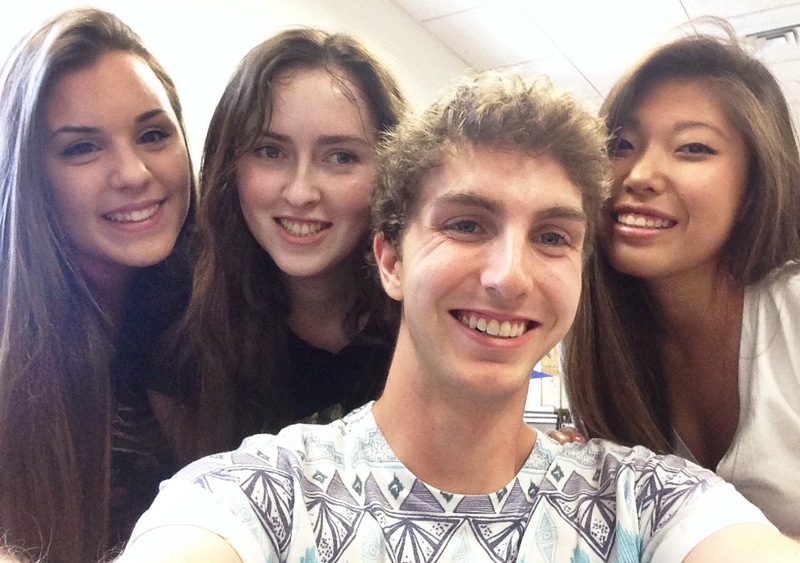 Above: The new iPulse editorial staff: GraceAnne Trumpfeller, Aisling McEntegart, Kevin Studer and Brooke Rudisill. LU Photo. As the new semester begins, so does a brand new version of iPulse as it welcomes a new editorial staff, an app and a design update. In May, we said goodbye to our former editors Meaghan Boutwell, Aura Cruz, Liz Raffa and Anne Marie Van Casteren, and today we are excited to step into their shoes and make this year amazing. Joining us are Aisling McEntegart and GraceAnne Trumpfeller as assistant editors. The four of us have been trained well by our predecessors and are excited to welcome back Boutwell as our graduate support. As Lynn has transformed into a high-tech institution, we realized iPulse had to do so as well. In order to make reading more convenient for our fans, we have created an app that is free on the Apple iTunes Store. Once downloaded, all of our stories will be accessible with the touch of a button. To download, scan the QR code on page 7 or the back cover. With Lynn’s new branding guidelines comes the rebranding of iPulse. Besides the upgrade of students accessing our paper on the go, we also are making the paper more modern with new fonts and colors that correspond with other Lynn-based material. Aside from iPulse, Lynn has been changing drastically over the past few years as the university realizes its 20/20 plan. Returning students are very excited about the new International Business Center (IBC) that is receiving the finishing touches. With 10 new classrooms, 29 staff and faculty offices and workspaces for students, it is a wonderful update to our campus. The IBC is also a completely green building, and is designed to achieve the LEED Platinum Certification – the highest level of certification awarded by the United States Green Building Coalition. Also under construction is the Snyder Sanctuary. The building will be an all-faith spiritual center welcoming all students and members of Lynn’s community to worship or meditate. We are excited to bring you all of the campus news as it happens this year. We hope that you will indulge in reading all of the latest stories from this award-winning student publication either in the physical form or in the new electronic form. This article first appeared in iPulse on Sept. 16, 2014.